It's one of my favorite animated films since its inception , the green, huge, not so good looking monster who's as human as anyone we know gets to fall in love, live life, and persecuted by everyone else as if he doesn't have the right to do so. The fun starts when Shrek shows how he's good, a little off putting on ogre capabilities, but he's just as smart as you and me. He's also got a funny donkey as a sidekick that doesn't do much to help or doesn't even make sense at times but you can see how he cares at times when Shrek needs it. Then when it arrives, Princess Fiona makes Shrek the happiest ogre on Earth by giving him the one thing he dreams of... And that's love! The Broadway and West End Musical made by David Lindsay Abaire and Jeanine Tesori will make you believe in love again - but will make you laugh at life's antics as they bring this performance to the Meralco Theater this September 19 to October 12, 2014 running for 4 weeks straight keeping you still believing in it no matter how impossible things may be. There are evil villains but like the animated film from DreamWorks, we'll have to see his whole journey to love, laughter, adventure and life. You'll still hear the favorite songs "I'm a believer" plus a lot more that you might not have heard yet but made for the musical to perfectly fit the situation in Shrek's life! Moms and Dads, Kids can even learn from this so come join the fun in Meralco Theater and see international level performances as they do it in the Philippines on the dates mentioned above. 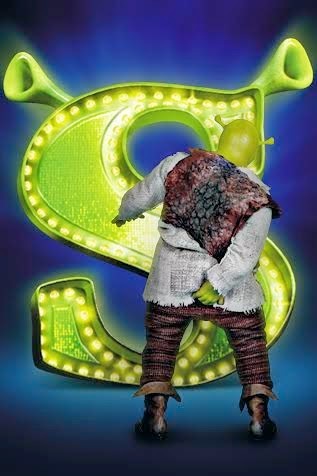 Family comedy at it's best and a lot more can be seen so rush to TicketNet outlets, or call 8919999 or visit www.ticketworld.com.ph to see Shrek The Musical as soon as it opens its doors this month. The true value of friendship, honesty, love can be seen in this musical so all you gotta do is get them while it's still early! Shrek The Musical is from Sam Mendes who's a really big fan of the animated film. I can't wait!